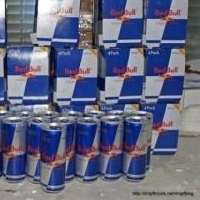 Red Bull Energy Drink by WRI Enterprise. Supplier from Philippines. Product Id 874048. Red Bull Energy Drink is a functional beverage that vitalizes body and mind. 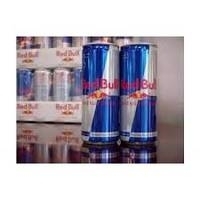 We have red-bull energy drinks in stock and available in different can sizes for immediate delivery. Other energy drinks are also available. We do fast and safe worldwide delivery. Please visit our website and contact us for more details. You can call, text or email us anytime using our contact details on our contact page or website; and one of our consultants will get back to you asap. 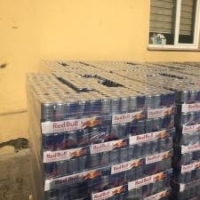 C Import And Export (Pty) Ltd.
Red Bull Energy Drink (250 ml) FOB Price: US $ 5 - 8 / Tray | Get Latest Price Min.Order Quantity: 10 Pallet/Pallets Payment Terms: LC,T/T Contact Supplier Loading... 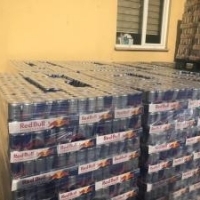 Specifications 0) Packing: 24 x 250 ml cans per shrink wrapped tray 1) 32 pallets in 40 ft container / 26 pallets per 20 ft container 2)108 Dear buyer we advice you contact us with your correct email address id for fast respond We are one of the leading exporters of Energy Drinks 0) Packing: 24 x 250 ml cans per shrink wrapped tray 1) 32 pallets in 40 ft container / 26 pallets per 20 ft container 2)108 Trays in each pallet 3) 24 cans in each tray 4) Origin: Austria Manufacturer 5) Monthly quantities: 10 x 40FCL So if you are willing to have us as your daily , weekly , monthly , yearly suppliers, then do not hesitate to contact us for more information as regards to our good Ingredients: Water, Sucrose, Glucose, Citric Acid, Taurine, Sodium Citrates, Magnesium Carbonate, Caffeine, Glucuronolactone, Inositol, Niacinamide, Calcium-Pantothenate, Pyridoxine HCL, Vitamin B12, Natural and Artificial Flavors, Colors.Please contact us for more information, we sell at the best competitive prices and delivery ASAP. are large suppliers of beverages, carbonated soft drinks, Energy drinks, Fruits juice, Vegetables juice, Soy milk, Coconut Milk etc.. Product: Bull Energy Drink Health Vitamin Energy Drink,bring you more nutrition and stronger. Health ingredient and good taste with lower price for choose Specification: 250ml Best Quality and Taste. Shelf Life: 18 Months 0) Packing: 24 x 250 ml cans per shrink wrapped tray 1) 32 pallets in 40 ft container / 26 pallets per 20 ft container 2) 108 Trays in each pallet 3) 24 cans in each tray 4) Origin: Austria/Netherlands Manufacturer/South Africa Our Prices are the best you can find in the market, and we can supply you on weekly or monthly basis in very large quantity. â??â?? Search More Like "Red Bull Energy Drink"